Today I have an amazing product for review to share with you. 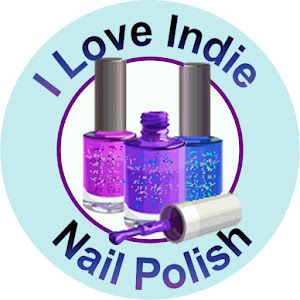 I'm a member of Influenster, which is a fabulous site that you can right reviews of products and be considered for their VoxBox in which they send you products, based on answers to surveys they send you, and you write reviews on those products. It's completely free from top to bottom, so if you'd like to sign up and give it a try, here's a link to sign up under my referral code. Referral Link to Join Influenster Sometimes it takes a while to receive a survey, I think I was signed up for almost 9 months before I got my first one, but the more social media platforms you're connected to, and the more reviews you write on their site, the better your chances are. I've received some amazing products. 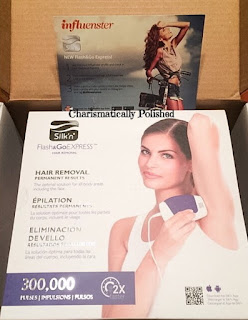 Anyhoo, I received probably one of the most awesome products to review, the Silkn' Flash&Go Express hair removal device complimentary from Influenster. I was both really excited to try this, and a little skeptical as it's a light based hair removal process, and honestly I've heard some horror stories about these kinds of DIY at home removal systems. However, I'm very pleased to report that this system has worked wonderfully for me, without any adverse side effects so far. This process takes about 6 weeks to start noticing dramatic improvements in hair removal, however I've been using it diligently, per the instructions and have been having great results. The product itself is easy to use, with clear instructions that are easy to follow. I decided to start with my underarms, and while I was sorta tempted to take before and after photos, I decided against it :-D. So far I've noticed a significant difference in the rate of growth of the hair, and that it's starting to become lighter in color and thinner. I haven't had to shave nearly as often, and have had no irritation of any kind during use, and no discoloration of my skin. There's also a 10% off code if you decide to purchase! Use NOHAIR athttps://www.silkn.com until the end of January 2016! It's very important to remember to follow the directions regarding the use of these kinds of products; I YouTubed some videos on this product and found that many of the users were upping their usage schedules or increasing the exposure times. While their results were mostly positive, I would strongly encourage anyone who purchases this product to stick with the instructions. To me, it's not worth the risk of damaging your skin, but that's just me. I'll keep you updated as I complete the process and move on to other areas! 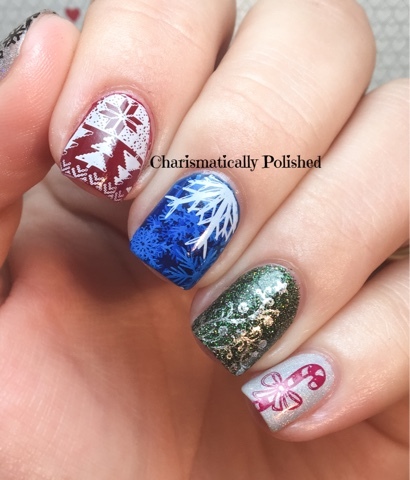 In this mani, I used China Glaze Merry Berry (the wine red) and Winter Holly, (green glitter) Smitten Polish Nimbus (dove gray holo) and Ruby White Tips Sting (blue jelly). 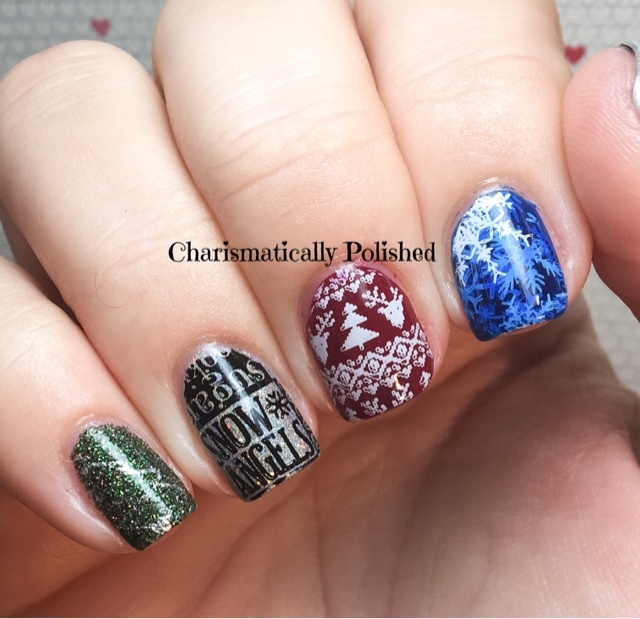 Stamping polishes are Born Pretty black and white with UberChic's new Christmas 01 stamping plate. 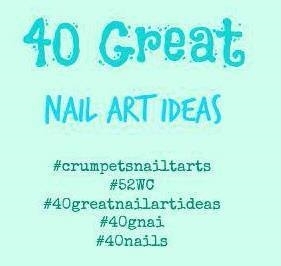 Don't forget to check out all the amazing manis the other artists have created! These are some seriously awesome ladies with incredible talent! Hope you all have a wonderful weekend and safe holidays!